LEAF Marque celebrates 10 years | LEAF’s EBrief 18th July 2013 | EISA e.V. Last week, I was one of a number of speakers at the Westminster Food and Nutrition Forum seminar on reforming the CAP and what the next steps are for UK farmers. Amongst others, I was joined by Gwilym Jones from the EU Commission, Martin Nesbit from Defra and Peter Kendall of the NFU. It was certainly a lively and interesting morning with some heated debate. 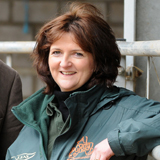 What was clear from discussions is that we must not lose sight of the opportunities that these reforms present in the areas of greening equivalence and consideration of farm assurance schemes with defined ecological benefits, such as LEAF Marque, as well as market management mechanisms, particularly reducing risk in the market and rural development. They say the devils in the detail but there are some positives to be had. This month marks the 10th anniversary of the LEAF Marque, a global assurance system recognising sustainably farmed products. The LEAF Marque was first launched during the Wimbledon Championships in July 2003, giving recognition to farmers producing food to LEAF’s sustainable farming practices. During the LEAF Marque’s first year, over 150 farmers achieved certification representing some 10,000 hectares of fruit and vegetables. Members of the public wanting to buy products carrying the LEAF Marque were able to find them in Waitrose, which were the first supermarket to stock LEAF Marque products. Over the last ten years, the LEAF Marque has grown to become a globally recognised assurance system operating in some 40 different countries. Here in the UK, a quarter of all UK horticulture is LEAF Marque certified with 100 per cent of British grown leeks carrying the LEAF Marque logo, 73 per cent of peppers and 71 per cent of outdoor grown lettuce. When it comes to fruit, a quarter of UK grown strawberries, 33 per cent of raspberries and 29 per cent of apples are grown to the standard. Read more including the 10 key achievements of the LEAF Marque here. 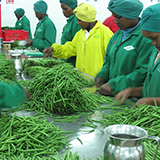 This five day, knowledge exchange study tour of Kenya’s lead farming businesses, will take a group of nine UK farmers to see and hear the challenges faced by Kenyan export farming. The group will visit a wide range of enterprises and meet with farmers, agronomists and production managers. Click here to find and more. Precision farming has the potential to deliver both economic and environmental benefits, which makes it an option worth a look for any farmer looking to farm more sustainably. 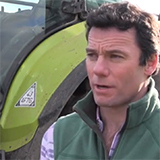 LEAF Demonstration Farmer, Ian Pigott, talks through his decision to take up precision farming here. 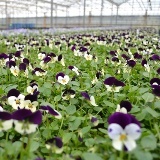 Westland Nurseries are one of the UK’s largest commercial growers of micro-leaf, sea vegetables, edible flowers, oriental leaves, heirloom tomatoes, and loads more! 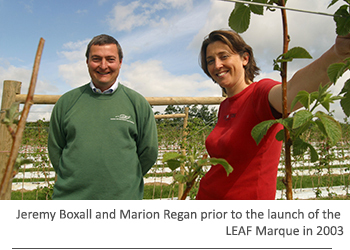 Westlands joined LEAF in 2007 and became LEAF Marque certified four years later. We find out more on LEAF’s blog available to read here. Email: enquiries You have received this email because you have subscribed to LEAF’s EBrief, if you no longer wish to receive news from LEAF please unsubscribe using the link below.If you have any enquiries please do not hesitate to contact us using any of the details to the left. This entry was posted in Press Releases of EISA Members and other institutions by Olaf Wozniak. Bookmark the permalink.